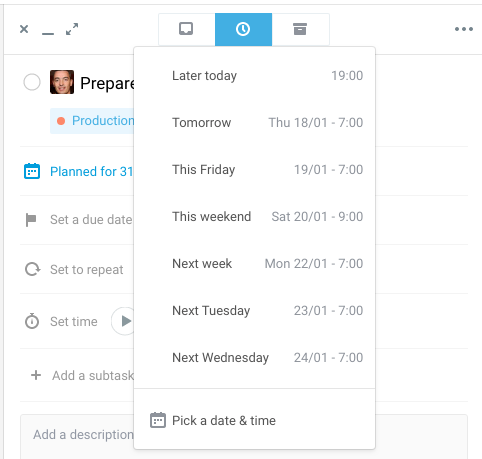 Azendoo allows you to define when work on a task should start or simply to snooze it for a while. If a task no longer needs to get done but you don't want to delete it for now, you can mark it as Canceled using the 3d button. These task can be reactivated anytime. 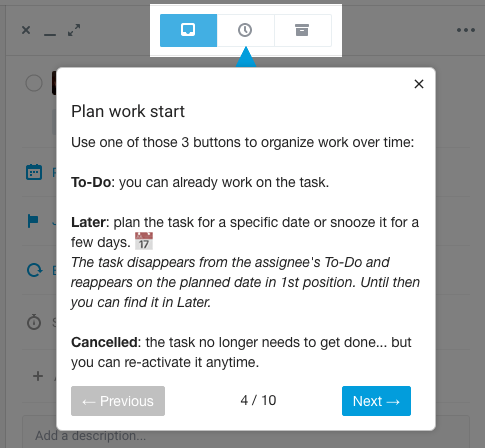 The task will be listed in the Canceled lists and be displayed using striked-through text.